There have always been plenty of things to do in Blackpool and 2011 sees even more attractions added to the list. In 2011 Blackpool became home to the only Madame Tussauds in the UK outside London. It replaced the resort’s previous waxworks attraction, Louis Tussauds, and will features over 70 lifelike wax models of British celebrities, TV and sports starts. 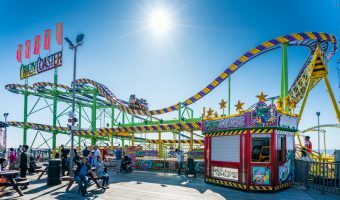 It is one of several joint ventures between Blackpool Council and Merlin Entertainments, the world’s biggest leisure company after Disney. Other projects are the Blackpool Tower Dungeon and the Blackpool Tower Eye, both opening in September at Blackpool Tower. 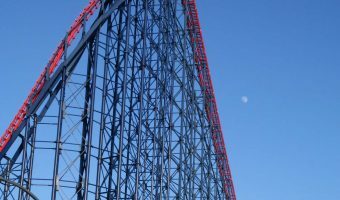 Blackpool’s famous Pleasure Beach also got a major update in 2011. Nickelodeon Land features 14 rides based on characters from the children’s TV channel. Kids can ride the Nickelodeon Streak rollercoaster and get wet on the Rugrats Lost River log flume. Sandcastle Waterpark is already the UK’s biggest indoor water park and home of the worlds’ longest indoor rollercoaster waterslide. This July it’s set to get even better with the addition of two new Aztec themed slides. Blackpool Zoo is home to more than 400 species of animals from all over the world, including elephants, lions, tigers, sea lions, penguins, giraffes, and gorillas. The new Children’s Farm offers kids the chance to meet and interact with cows, sheep, pigs, and other farmyard animals. Blackpool has three piers; North, Central, and South. The North Pier is a great place for a relaxing stroll but also offers a theatre, bar with live entertainment, and a theatre. Central Pier features a funfair and Ferris wheel, while South Pier offers a good selection of hair raising rides. The famous Golden Mile runs along the Promenade from the North to South Piers and is packed with hundreds of amusement arcades, restaurants, pubs, and attractions. Popular choices include Sea Life, Coral Island, and Silcock’s Fun Palace. There are plenty of world-class events to choose from throughout the year. There’s National Armed Forces week in June, the Blackpool Air Show in August, and the Illuminations and World Fireworks Championships in September. Best of all, these fantastic events are completely free. Work has started on an ambitious project to restore the Winter Gardens to its Victorian splendour. Both the Empress Ballroom and the Opera House remain open while the work progresses and offer a packed programme of events and shows in the evenings. The Grand Theatre is another popular venue for live entertainment. The only cinema in Blackpool is the 10-screen Odeon at Festival Park. Stanley Park is by far the largest park in Blackpool and offers a relaxing respite from the hustle and bustle of the town centre. Features include the magnificent Art Deco Café, a boating lake, and an 18-hole golf course. Blackpool Model Village is also here. Blackpool FC is the town’s professional football team. They play their home fixtures at the Bloomfield Road stadium. Other places to visit in Blackpool include the Great Promenade Show, Ripley’s Believe It or Not, and the Grundy Art Gallery. Further information about all these attractions, plus leaflets, maps and guides, can be obtained from the Tourist Information Centre. The UK’s most popular tourist attraction.